Why hire the Mighty Nish Band for your wedding reception party? The Mighty Nish Band has performed for countless wedding receptions around Omaha, Nebraska and Iowa. 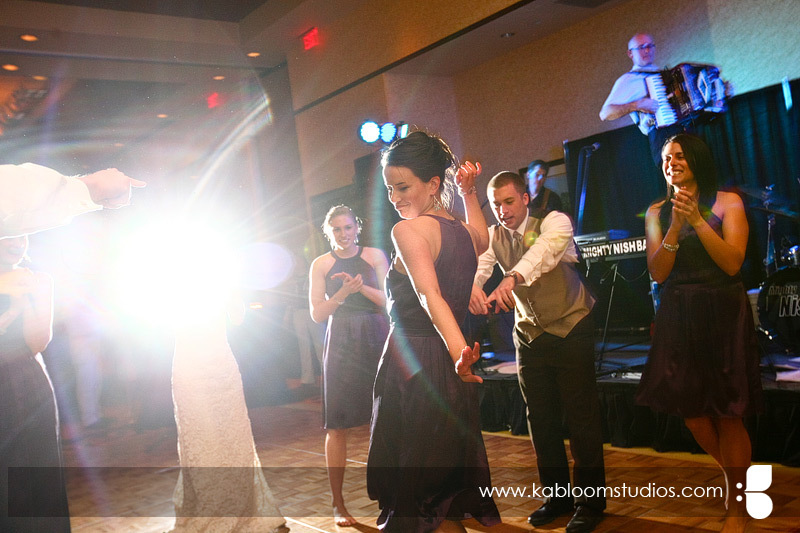 Our extensive experience and impressive song list will help us make your reception great. The Mighty Nish Band will remember who we are working for – you. On and off the stage we will work to make your event great. From our first contact until we say goodbye we are professional, courteous, honest, accommodating, and accessible. We know that there are a lot of great bands in Omaha, Nebraska and Iowa. That is why we go the extra mile to provide great service to make things easier for you. We have put together a list of great bands and other wedding services for you to compare on our Omaha Wedding Band Page. In addition to our live, interactive, non-stop variety show, our price includes background music of your choice for your cocktail hour, dinner times. We DJ great music during our breaks to keep your guests dancing and entertained. It is like hiring a DJ and a band for the price of one. We will help you to make your reception special by welcoming guest performers as well as other surprises you may have in mind – just ask us. Are you concerned that a live band will be too loud for your reception? The Mighty Nish Band has played in all sorts of venues and rooms big and small. We always play at a reasonable volume for dancing and talking. On the rare occasion that our clients ask us to turn things down we cooperate and play quieter. We want everyone to be comfortable and have a great time. References? Listen to what our clients have to say about performances booked through GigMasters and GigSalad. Judge for yourself on the Mighty Nish Band YouTube Channel. Whether you hire the Mighty Nish Band for your wedding reception party or another band, please check out our band wedding suggestions to help your reception be a hit for all of your guests.